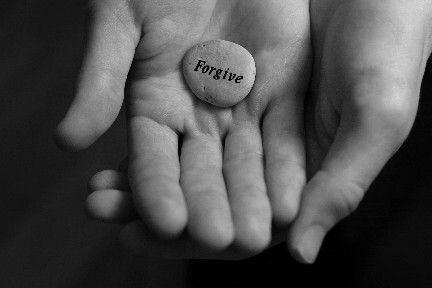 Are you good at forgiving others? This is a question that I assumed I will confidently say "yes" to all the time. I always knew in my heart that I am deliberate in overlooking offenses, or at least wanting to do so. Today, I took a look again at one of my favorite Bible verses on forgiveness. I looked up the meaning of the word "forgiveness" in Greek. It showed that it means "to release." I had to take a hard look and ask God what this really meant. You see, I found it very easy to "release" the person, the action that offended me and being able to have a relationship again with the intention of moving forward. However, I felt that God pointed out to me (oh so clearly!) in my heart that I have trouble releasing the pain associated with the offense. God, this means in order to completely experience freedom from forgiveness, I need to share my pain with You. "Yes, child, I want You to unload it all on Me. I am listening." But I willingly forgave the person and what she has done. "But what about you, My child? I want to heal the hurt that you had to endure. I want to comfort you. I want to nurse you back to a place where you can laugh again." I know You can do that. But seriously, You really will do that for me? "I love you outrageously. Of course I will do that for you." I am scared of getting hurt again. That person just might do it to me again even if I genuinely tell her she is forgiven. I cannot deal with this kind of pain one more time. "It's not about trusting her. Forgiveness isn't really forgiveness when it becomes conditional. Do you want to trust Me in all of this? Do you have faith that I can restore everything the way it was before?" Father, thank You that I can look to You, surrender my pain, and break free from my fear. Thank You that today, I can celebrate complete forgiveness -- the kind that only comes from You. What steps should you take today to bring about restoration when you have been hurt?